Converse Chuck Taylors never go out of style (I keep telling myself that as I head into my mid-thirties! ), and as far as I’m concerned you’re never too young to own your first pair. 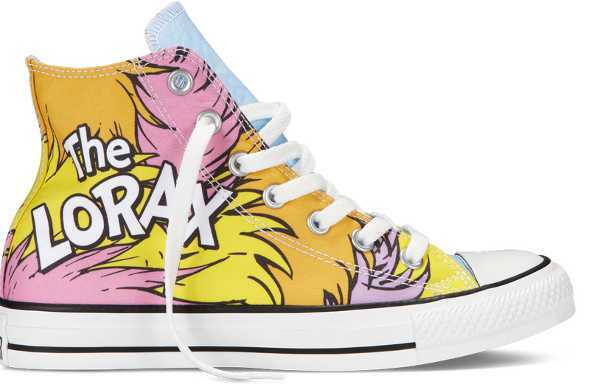 And what I love the most is that Chucks are keeping up with the times, with awesome new designs released regularly. 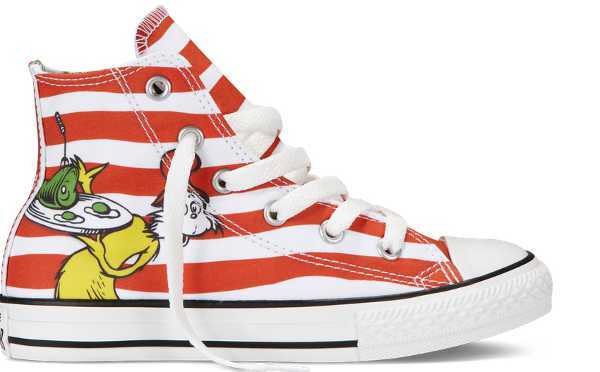 Dr Seuss fans are well catered for with a couple of new designs. I love The Lorax version (at the top of the post), and despite the use of pastels, these would look fabulous on little boys as well as girls. 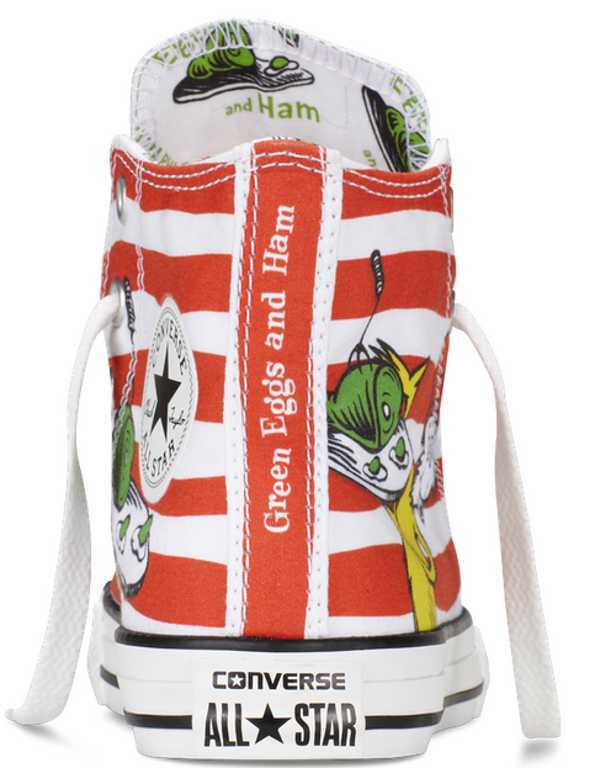 Likewise the Green Eggs and Ham version is a unisex design, with eternally-popular red and white stripes. As these two versions are designs for the post-toddler crowd (four to twelve years), they come with the traditional high top laces. These are both available directly from Converse for US$45, but you will require a reshipper. The Zebra design is aimed at toddlers and has a much easier slip-on design. These are available locally through Authentics for $60.